Hard Money Lender Questions Answered | Megan McGinnis' Blog--Get Connected! Since the FHA has changed the policy on flipping and we are no longer required to hold for 90 days, I thought it might be a good idea to review what hard money lending is about. Troy lays it out very nicely here. Thanks for stopping in and please be sure to join my newsletter. 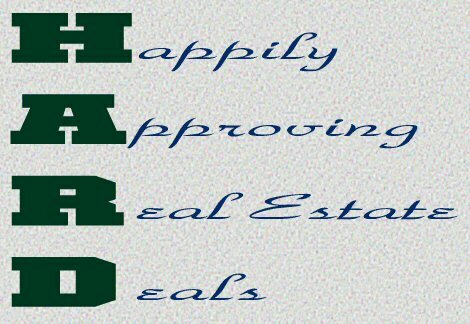 What is the process for Hard Money Loans? Hard Money Loans provide Investors access to capital to purchase investment properties. They can fund quickly, typically within 72 hours of receiving the final docs from the Title Company. Hard Money is available for adequately collateralized loans on single-family residential houses and other Real Property including commercial projects. The interest rate depends upon the Lender. The rate will range from 10% interest only to 18% interest only annual interest rate payable monthly in most cases. Some Lenders will defer interest payments to payoff, benefiting investors that do not want payments during rehab. What Loan-to-Value are Hard Money Lenders looking for? Typically a loan does not exceed 70% of the after-repaired-value (ARV). This figure is calculated by an appraiser and consideration of repairs. Typically write the notes from 3 months to 12 months depending on the Lender and your needs. Longer the term can lead to increased costs or interest rate. All loans will require Title Policy, Insurance, and Appraisal. These services come with fees that can range from a few hundred to a couple of thousand dollars. Most require origination points ranging from 2 to 10 points. Can I get money pay for repairs? Yes. Most Lenders require a “Draw Request” form to be filled out to identify the completed repairs to the property, copies of the invoices from the contractors or sub contractors. After work is inspected, draws can be dispersed. Typically work is not paid in advanced. Maybe. Hard Money Lender do check credit, not necessary for credit scores, but to check for bankruptcies, foreclosures, charge offs and collections. They look for ability to repay. The loan is more collateral based, which means they look really closely at the property. Do I need to put any money down? In most cases, Yes. Most lenders want to ensure that you have enough resources to finish the repairs and cover the costs of the loan plus any surprises. Expect to pay all origination/discount points and other costs at or before closing. If you cannot afford to close you typically cannot afford to take out this type of loan. Can interest to be deferred to the end of the loan? Sometimes. Most have interest payable monthly. Again, if you cannot afford to close you typically cannot afford to take out this type of loan. How does Hard Money compare to a traditional non-owner occupied investor loan? This would be like comparing apples to oranges. Hard Money has a very specific purpose. Typically these loans are for quick turn around or after repair situations. Conventional financing is used for your traditional rentals and long term hold scenarios. As the foreclosure market increase you will find investors to use Hard Money as way to secure the property in a short period of time then refinance into Conventional finance. What Happens to Repossessed Houses? They used to call this loan sharking. Hard Money Lenders…..I love it. Indeed, these loan sharks will take your house AND then break your legs! I do agree with this but at the time of urgent requirement while you don’t want to get in to more paper work and other formalities hard money loans are the best Idea. Hard money loans are quick as it goes off the value of the property/home not the borrowers’ credit worthiness. Some comments compared this to loan-sharking, but the short-term hard money loans serve an important position for the professional home flippers. They make their living off flipping and happily pay the higher costs for the short-term needs. Some comments compared this to loan-sharking, but the short-term hard money loans serve an important position for the professional home flippers. They make their living off flipping and seem to happily pay the higher costs for the short-term needs to keep their ROI up.